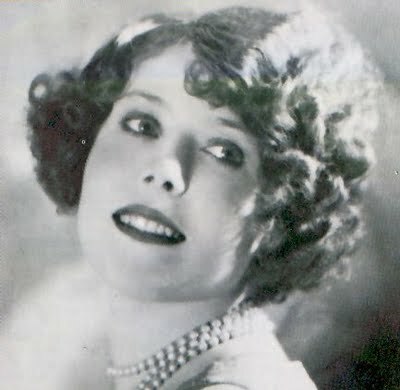 These final three recordings from 1929 feature three very talented ladies singing lovely, jazzy pop songs. All three are sweet slices of pure heaven. Ruth Etting was one of the most popular singers of the late 1920s and early ‘30s. Compare her style to Annette Hanshaw or Ethel Waters, and you’ll hear a big difference: while Etting’s style and accompaniment was certainly flavored by the jazz of her time, she sang her songs in a by-the-book pop style instead of the looser, improvised feel of true jazz singers. “Love Me or Leave Me” was her signature song, and in this recording Etting relies on her expressive, versatile voice to deliver the sentimental lyrics. Twice in the song she sings: “There’ll be no one unless that someone is you / I intend to be independently blue.” Notice how she hits the word “you” in those places. The first time, she hits a high, clear, beautiful note that perfectly captures her sense of sad resolve. But as the song progresses, more emotion bubbles to the surface, and when she sings that line again, the word “you” starts on an even higher note, but wavers dynamically. 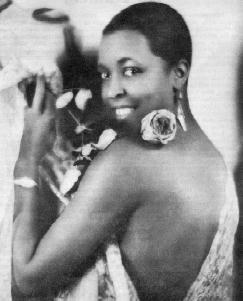 Ethel Waters was a versatile blues, jazz and pop singer, and one of the most popular entertainers of her day. “Am I Blue?” was one of her best recordings, a dazzling performance that bears witness to her remarkable range. She sings the verses in a very earthy, bluesy fashion, but her approach becomes lighter and jazzier for the choruses. Along the way, she freely varies her tone and timing, bending the song to her will with a supreme sense of showmanship. He voice goes from rough and raspy to pure and sweet with ease, and it is always highly expressive: at times she almost shouts the lines, and at other times she almost cries them. The jazz instruments follow her lead, providing an understated, bluesy backdrop that shadows her tone step for step and provides just the right accompaniment for her incredible voice. Previously, jailbreaking was splashthat.com/ the only method to get Click Here your paid material free of charge yet, thanks to applications How To Install Tutu Helper App For Android, Iphone & Windows Pc like TutuApp, you could currently appreciate all of it on Tutu App the larger display of TuTu Helpers your Mac computer system. ensure that it could survive any type logdown.com of type of exterior climate.With the Char-Griller,Visit here you could get cooking anywhere. Not only does Best American Outdoor Grills | Reviews & Ratings it have a side warming up tray, however Outdoor Grills it additionally has side-shelving Best Outdoor Grills Reviews available for extra workspace.